We left Milan on 26th March for Marrakech. One week (5 days + 1 transfer day from Marrakech to our starting point of Agoudal) to travel 500km with 5,900 metres of climbing. The original route was 455km but we diverted on a couple of occasions to look at some interesting sites. We were 4 friends with 2 gravel machines, a cyclocross bike and one brave road bike. 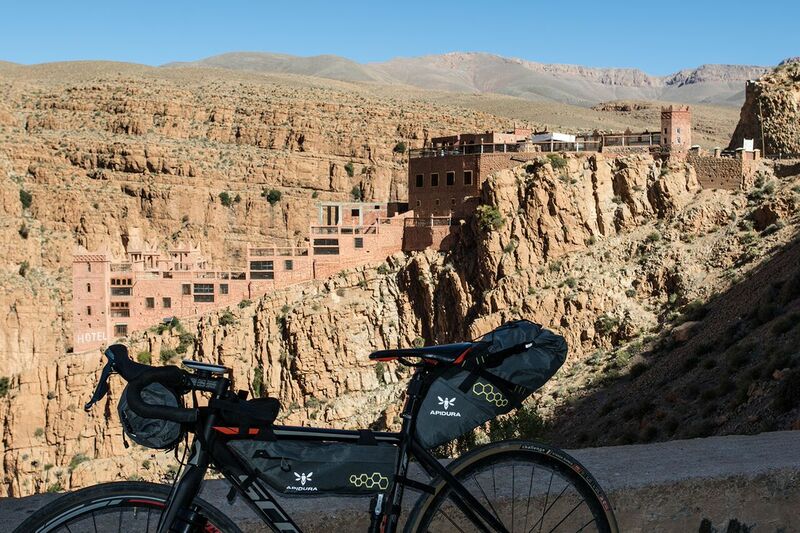 Departing from Agoudal, the aim was to undertake 5 x 100km rides before reaching our final destination of Marrakech. About 40% of the route was on dirt and the rest on road. 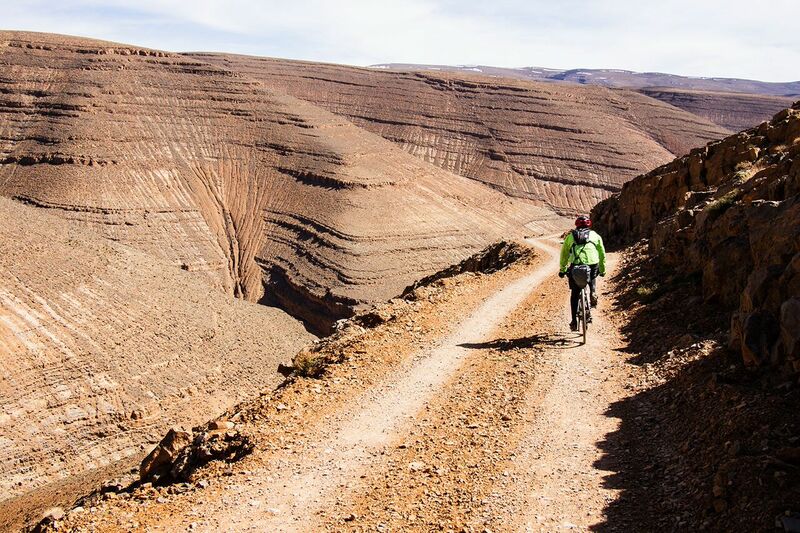 The entire trip could be made on a gravel bike but some front suspension would certainly be desirable. Our style for the trip was relaxed allowing us to deviate from the planned routes and to take in the sights and smells of the area. We would rest at night in the local casbahs as it was too cold to sleep outside in tents. A benefit of using the local facilities meant that we could pack light. Several areas caught our interest; the departure from Agoudal with the road leading up to Dade gorge is stunning (R704), full of deep canyons and breathtaking landscapes. The dirt road leading up to it is rideable and the descent is nice but a little tiring. The highland has wonderfully cool air, perfect after the long climb through the gorge which is famed throughout Morocco for its majesty. When creating the routes, we tried to avoid the busiest areas and this enabled us to seek out stunning and isolated desert. We found a wonderful Western-style movie set at at 117km, turning left to avoid the N10 and continuing along the Valley of the Roses. Another highlight was at Ait Ben Haddou but in general all the trails crossed pleasant areas and we twice passed the sumptuous landscape of the Atlas mountains. 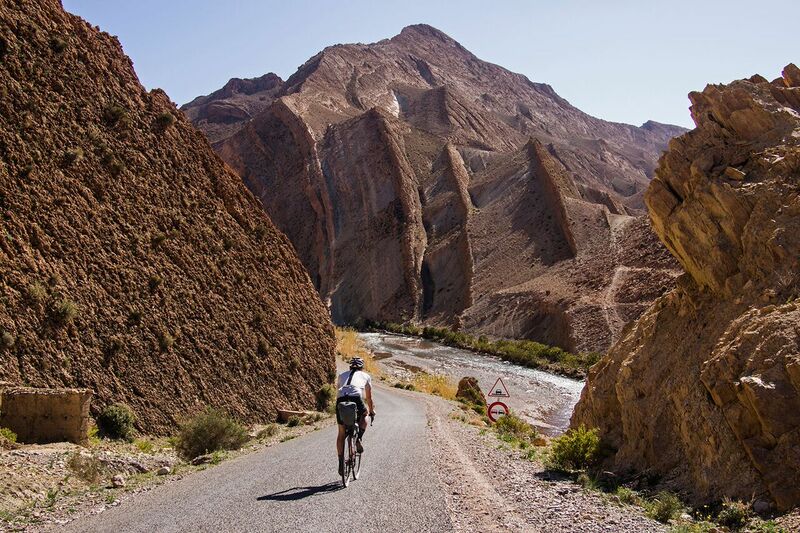 The routes we took were well suited for cycling, it is not hard to find somewhere to sleep or to eat (apart from the desert areas) and prices remain very reasonable although Marrakech is comparably more expensive. 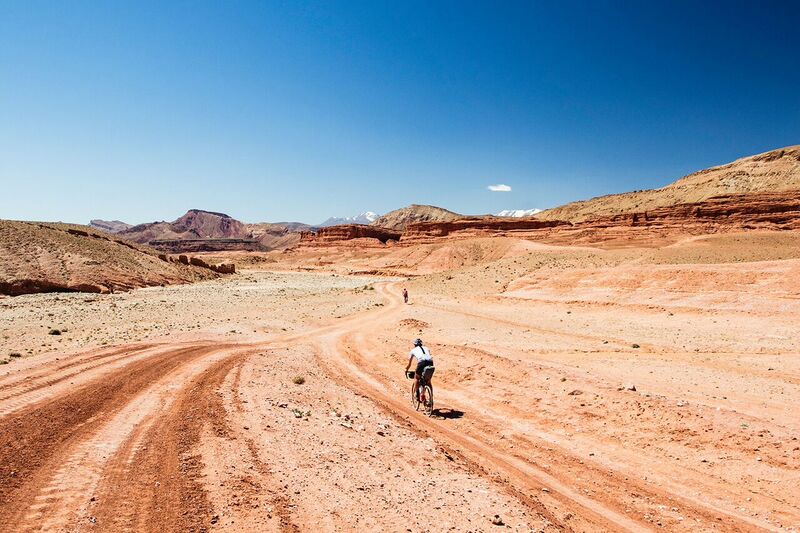 You can easily choose routes for road bike, mountain bike or gravel bike. 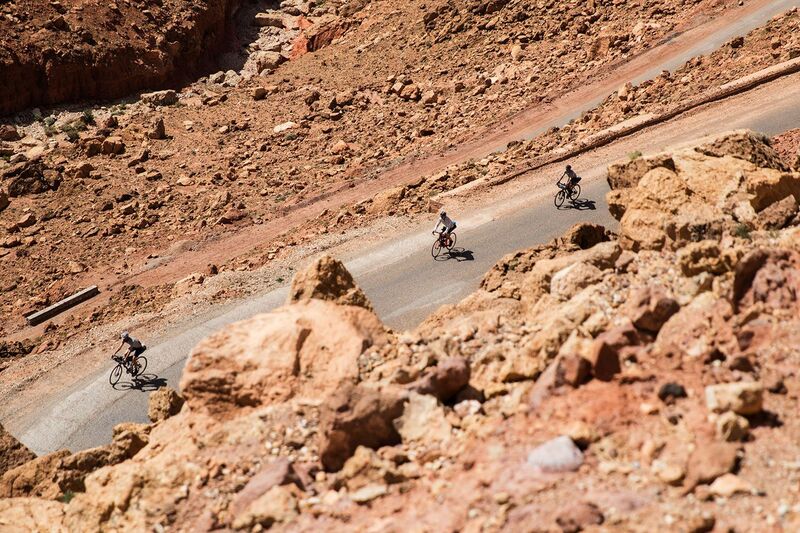 The people of Morocco are hospitable and kind to cyclists. More than one told us that they appreciate people who choose a slower means of travel rather than taking more conventionally quicker means of transport. I have visited Morocco three times but this is the first time with a bicycle. By doing so, I saw all its beauty, colour, stunning landscapes and the relative slowness of transport enabled this process of discovery.